The MAX10 Evaluation Kit Add On board designed to snapped on Altera’s MAX10 FPGA Evaluation Kit. The board comes with various interfaces such as, USB 2.0, Micro SD card, UART, CAN, I2C PROM and general purpose IOs. This board is specifically designed with intent to provide ready made solution of USB, SPI, I2C, UART and SD card for Altera's MAX10 FPGA Evaluation Kit. 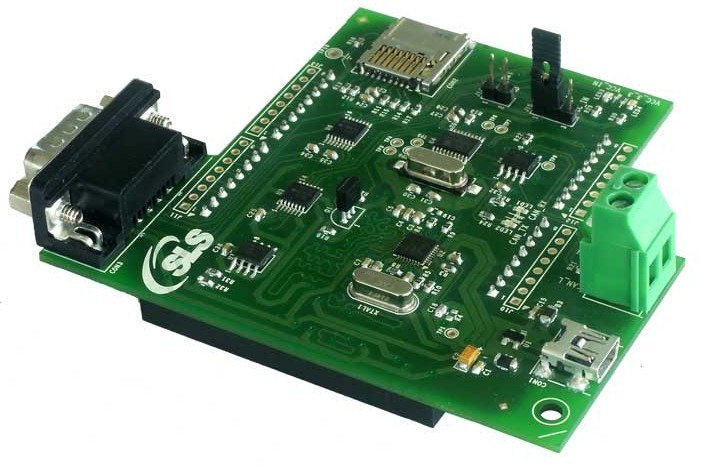 This board provides an embedded platform for exploring MAX10 capabilities and features. The following example shows the MAX10 Evaluation Kit Add On board connection with Altera MAX10 FPGA Evaluation Kit. Looking for Single USB to multiple UART, I2C, SPI or any other interface?